United said the club "utterly condemns" the "racist social media comments". The club added it was "working to identify individuals involved". 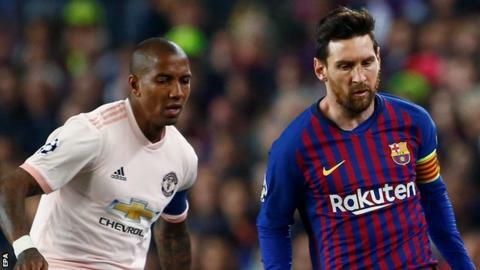 Anti-discrimination charity Kick it Out said: "Yet another black player, this time Ashley Young, is targeted with racist abuse on social media after tonight's Champions League game. "We do not comment on individual cases for privacy reasons," a Twitter spokesperson said. Accounts identified in this case as violating Twitter's abusive behaviour policy have been prevented from posting again until the offending tweets have been removed.